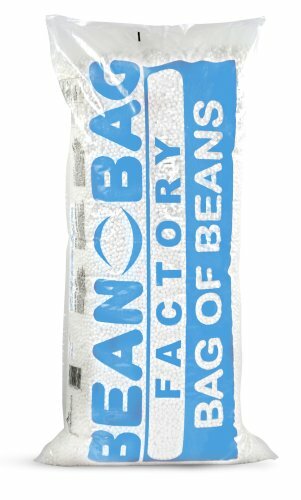 Our Bag of Beans is ideal for filling your Bean Bag Factory cover or simply keeping your favorite bean bag furniture in top shape. Its virgin beads easily make your beanbag fluffy and comfortable within minutes. To open the child safety locking zipper, use a paperclip to insert where the pull tab would be, open the zipper and insert the bean bag filler. Then re-close, making sure that your beanbag chair is securely shut. The Bean Bag Refill Bag is 3.5 Cubes. If you have any questions about this product by American Furniture Alliance, contact us by completing and submitting the form below. If you are looking for a specif part number, please include it with your message.